The Magic Mop supplier, Huangyan Okay, is not only specialized in designing and manufacturing plastic molding and injection molded parts, but also provides convenient products for daily use. This product is quite useful in cleaning bedroom, windows and so on. With the design of adjustable handle, you can change the degree of the magic mop to clean up the corner or anywhere you want. Also, it keeps your hands clean easily. With enclosed designed bucket including a spinning wringer, cleaning the product becomes so easy due to this practical device. There are various colors for customers to choose. 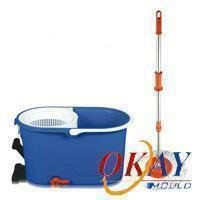 You can choose the most ideal color of the magic mop to make it look like part of your decoration. If you often need to clean up your house or anywhere else, maybe you should get it from us to save more time and have a wonderful experience of using it as your best assistance. There are some tips for use: for one thing, in order to wring out the mop, place its head flat in the wringer. For another thing, if you want to activate the wringer, hold its handle lightly while pushing straight down with your foot on the bucket’s pedal. In addition, you should note the following instruction when using the magic mop; to clean its head, simply rinse in clean water or machine wash in hot water on gentle cycle using regular detergent. Also, you need ot keep the air dry. 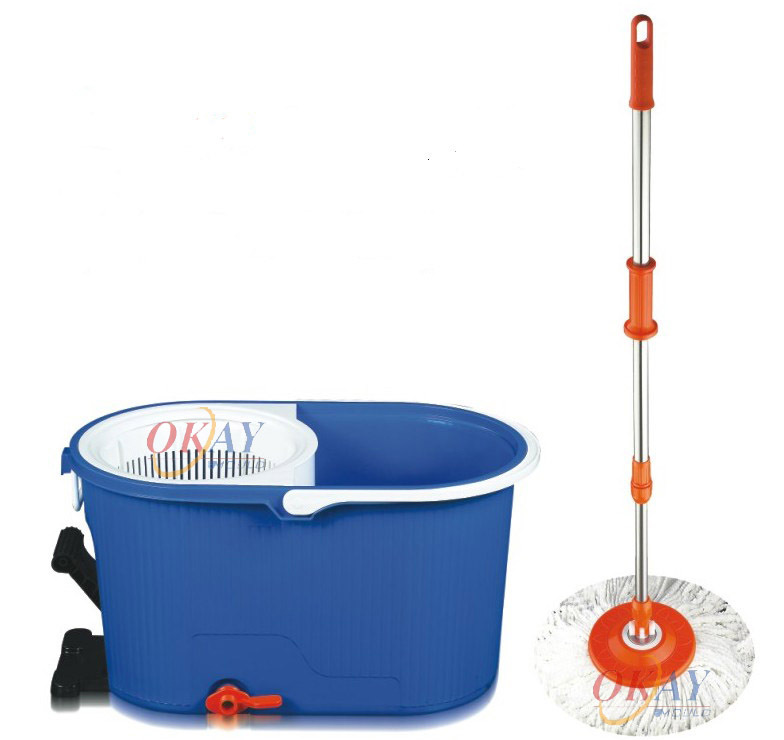 Usage of the Magic Mop: Cleaning kitchenroom, bedroom, window, car etc.